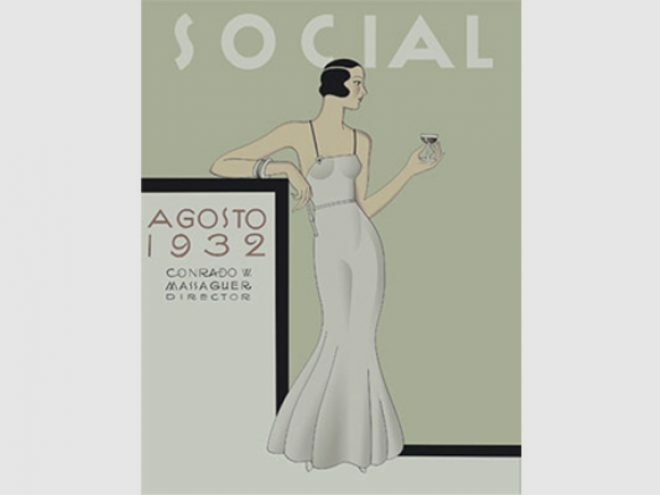 BATHING beauties, cocktail queens and languorous muses created by Conrado Walter Massaguer graced the covers of Social, the famous magazine published in Cuba from 1916 to 1933. Bold, beautiful and provocative, they stare confidently out of the page with an irresistible mixture of humour and seduction. Havana in the 20s and 30s was one of the world’s smartest cities, as glamorous and important as London, Paris or New York, and Massaguer’s illustrations capture perfectly the mood of those heady Havana decades. This year marks the ninetieth anniversary of the publication of Social. Massaguer, jovial and urbane commentator on Cuban contemporary life, died in 1965, but his glorious girls go on in style.